Lots of beauty treatments extensively use almond oil in them due to its many benefits. Mediterranean areas as well as South Asian countries all use it too. Although this is also because the almond tree typically grows in those areas. This exceptional oil can improve heart health as well as promote healthier skin. 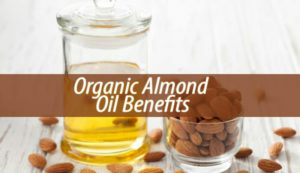 Organic almond oil has lots of benefits, being rich in vitamin E, potassium and lots of proteins. Skin whitener. If you spend too much time in the sun, your skin can become irritated. All you have to do is apply some almond oil on the problem area. It provides a quick relief from the pain. In addition to this, it can also remove an unwanted tan. Almond oil makes for a great skin lightener. Mix one teaspoon of lemon juice with one of honey and some drops of this oil. Run it onto the desired area and leave it on for an hour. Stops hair loss. It is normal to lose a certain amount of hair each day. When that amount becomes worrying, however, this is when you need to intervene. Try to use almond oil on your scalp. All you need to do it apply it onto your strands as well as scalp and leave it in for a few hours. Rinse it off and shampoo as usual. Smooth skin. Almond oil is hypoallergenic. This means that you can us eit on all types of skin. Including on baby skin. It makes for a good massage oil and you can also use it to treat diaper rashes. The skin absorbs it easily and leaves your skin soft. You can try to apply it after a bath. Thats is when your pores are open and will absorb any oil faster. To get the best reusults, warm it up between your palms before you use it. In conclusion, organic almond oil offers lots of health benefits to you. Include it in your beauty routine and enjoy all that it has to offer you.